The Larchstone is a step above. Fronting Channelside Drive, these townhomes offer added privacy and direct access from the street. The main level is open, and ideal for entertaining family and friends. There's a choice of 2 or 3 bedrooms above and an attached garage. The townhome is spacious upstairs, but don't forget the bonus space below. 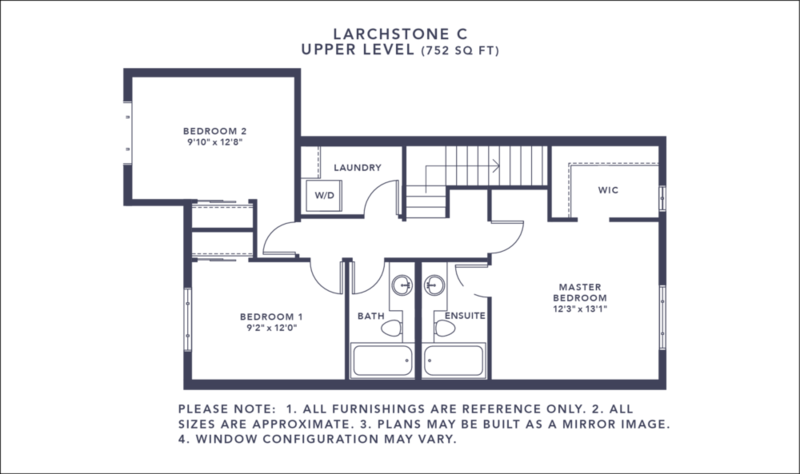 With an oversized, undeveloped basement, the Larchstone is ready to grow -- when you are. 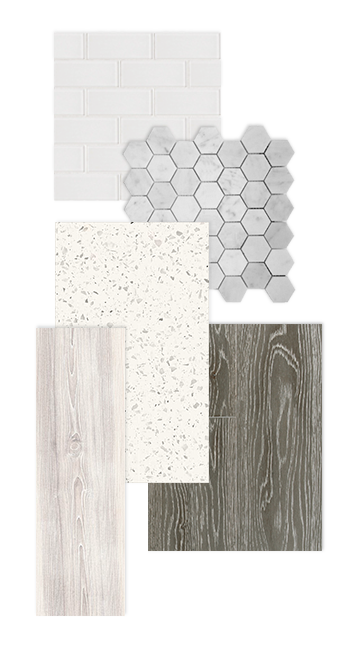 Customize your home's interior with a range of tiles selected by our talented interior designer. Leanne keeps an eye on the latest trends and offers products with staying power -- gems that look great today and won't go out of style. Our European-style kitchens come with quartz countertops. You'll find them in the bathrooms as well. What others consider an upgrade, we deliver at no extra cost. Wood plank laminate flooring on the main level is included as standard in the base price and comes in a range of colours.